Fall is upon us and so I thought we needed a new fall banner. I love the colors of fall so much and I’m thinking fall may be becoming my new favorite season. So I love me a giveaway but as much as I love giveaways, I also love new products! Today we are combining both of those concepts and giving away a fairly new product on the market that is all about educating and empowering your kids to eat healthy. SuperNoots was created by two moms looking for a way to instill healthy eating habits into their kids in a fun and encouraging way. From what I can tell it not only looks fun but easy to use as well. Lori is giving away today, to one Menu Plan Monday participant, a SuperNoots Starter Pack valued at $34.95! It comes complete with a Food Chart, 16 Magnets, 1 Shopping List, 1 Snack Pack, Parent’s Guide and ribbon for hanging. One winner will be chosen, not from the comments, but from the list of participants off of today’s Menu Plan Monday Mr. Linky list below. In other words to be eligible all you need to do is post your weekly menu on your blog and link up that specific post into the Mr. Linky here as usual by Tuesday, Sept 30th at 6:00 pm PST. Thanks Lori! Wednesday: Happy 9th Birthday to my son! His favorite for dinner, hamburgers and french fries served with Gluten Free White Cake for dessert. Sunday: If you can find it you can eat it day! What a great giveaway! Sounds like a great way for kids to be involved and encouraged to make smart and healthy choices when eating! Cool stuff! Thanks for the fall header! 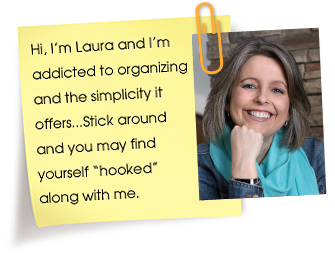 Laura, this sounds like a great idea! My older kids are getting pretty big but my little guy could probably use so nutritional nudges! I always fix my kid’s favorite meals on their birthdays, too. Sometimes, they are the only one who enjoys their meals – but that’s what birthdays are for, right? Whoo! I was waiting on pins and needles for MPM post! Dang this eastern time zone lol. Great plan this week, Laura! Love the new banner ,and woo hoo I made it to my second week! Great giveaway, mom’s come up with THE best inventions! Late tonight. I can hardly believe I’m up to post, but now I see it’s worth it. Nice giveaway. It’s just me and my hubby E at home, which makes meal planning both a little easier and a little harder than if we had kids to feed – hopefully, we’ll be able to stay on track this week! I hope your son has a happy birthday. Love the new fall banner too. Love the new banner 🙂 I’m still here three weeks in to my meal planning adventure, hurrah! And happy birthday to your son! I’m new here. Well, kind of anyway, I am doing your Virtually Organized thing. So thought I would join in on the menu planning. Mine is posted if you want to take a look. Just click on Sherrie’s Stuff and it will take you right there. Take Care!! What a great giveaway! Loving your new fall banner too, saved it for next Monday. Thanks for a great giveaway and I love the new banner! The spaghetti sauce sounds great, too! The week looks good! I am in the mood for soups and comfort food so my menu has lots of crock pot recipes this week. Glad to be playing along again this week. last week was not so good, because i skipped out on planning our meals! I missed the family fav, so I posted one this week! Cappucino Muffins!! My son has a birthday this week too! He’s 5! The new banner is great. We’ve got burgers on our menu this week also – and cake to celebrate our son being home on leave. Adjusting to life in the military for our boys is not easy! But we will savor the time together. Speaking of savoring, your week looks yummy and comforting. Thanks for hosting, as always! Her site really does have some yummy recipes! Happy 9th birthday to your son! This is the first time I’ve participated in Menu Plan Monday, which is kind of funny since one of the blogs I write is a Menu Planning blog! This is a fantastic idea, and a great source of inspiration! Thanks for organizing it! Love the fall header. I had already posted my menu or I would have used it. Great sounding menu for the week! Thank you for the giveaway opportunity! The product looks fantastic. I like the new fall banner – but the apron one is still my favorite. 🙂 Last weeks Family Favorites was so much fun! It was nice to go around and check out what other people’s families enjoyed. Thank you! Happy Birthday to your son! My oldest son’s birthday is this Thursday, and he’s going for his annual birthday dinner with my Dad and Stepmom. I came across this site recently and fell in love! lol. This week was my first menu plan submission and I look forward to perusing through all the other entries to get more ideas! Thank you so much for doing this. I am always looking for things to cook for dinner and you make it so easy. I love the banner–I love fall too! I will try a new, easy apple dessert this week and if it is good will post next week! I like the new banner and used it today. Thanks. Hope you have a great week. Those chicken caesar pitas sound like a good lunch option, too. I have never tried her onion strings but I have tried her crash potatoes and they were awesome! Cool giveaway. And I think it looks like a really fun way to teach our kids to eat healthy. Happy b-day to your son!! That cake sounds great! Love the new banner, and your menu this week! This is my first week posting a menu plan. I just hope I can stick to it! Finally. I finally remembered to update my site and link to this page. Your menu page has been a great source of inspiration for me in the past. The least I can do is link back to it. Thanks. Thanks for continuing to do this! It’s a great way to share ideas. I love Menu Plan Monday, it is helping me to plan meals early in the week and I love getting ideas and recipes from others!! oh what fun a birthday, have fun! the giveaway looks super cool. Love the fall MPM button… very cute and festive. This is my first time participating. Love the fall banner! Great giveaway! I may have to try those onion strings…. I’m new :). I don’t plan on Mondays, but on Fridays. I do my grocery shopping on Saturdays because my husband and I enjoy doing it together when he’s off work. Thanks for having me! Happy Bday to your son! Hope he has a good day! Personal pizzas.. hm.. what a thought. I may try to make some next time I make pizza dough in the bread machine. 🙂 Thanks! I almost didn’t post this week, even though I’d made a menu. Happy cooking and menu planning! Interesting take on BLT’s. I wonder how those would turn out. Kind of makes me think of that sandwich Adam Sandler makes on the movie Spanglish. I really like the new header! And I know *exactly* what you mean about gaining wait just LOOKING at PW’s recipes. I just completed my first official week of menu planning and I am SOLD! This is my first week participating in MPM and I look forward to many more weeks and more inspiration for my own menus! Thanks for hosting! I’m new to your site and wish I had the time to put together a menu. I haven’t done one in a while but I used to put together an entire month plan. That worked great for me b/c if I had a list of 30 meals I planned for the month and could swap meals from day to day if I wanted. Pizza! Yum!! Always a good choice! Have a fantastic week and thank you for helping me to cook at home more often. You keep me going! I have been searching teh internet for over a year trying to find just this sort of kid-friendly system! Marcia, thanks for putting us in touch with this. What a fun menu you have planned! I’m new here! I’m looking forward to getting my meal planning more organized…thanks! I have a birthday boy this week, too…mine is turning 5! I love planning ahead, and this site has helped me so much…I hope I can stick to the plan. What a great concept!! I know half of my battle is thinking of something different to make and it looks like that problem might be solved with the hundreds of ideas right here at my fingertips!!! Thanks so much! I love the giveaway item. I am trying to start menuing for my little family. Thanks for all the great info. From another Laura (in GA). This if my first time…love all the great ideas! The ultimate organizer for a years worth of menus. Breakfast, lunch, AND dinner. All in one place. By the month, 3 daily menus, recipes for the month (right there), shopping lists that include all of the incidentals for each of the menus. It took Aunt Nonnie three years to assemble and coordinate all the information. Talk about organizing!